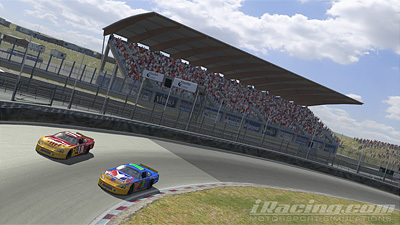 The penultimate venue in season two of the Oval Road Odyssey league (‘ORO’) took us to the newest track in iRacing’s library, Zandvoort. I had never driven the circuit before (in any sim), and my only experience with the track was when I did the last batch of ‘Real Or Virtual?’ comparison images (available here). The race was a cracker – another exciting race in the late models, and one to remember! I had a very good starting position with second on the grid but soon lost that advantage as I tumbled down the order to 13th place due to yet another turn one incident (having a bad run of luck in that regard lately). The scene was set for a spirited fight back, and over the 16 laps I was able to salvage a decent result (not as good as I’d hoped, but OK nonetheless). As usual, the highlight reel follows!